"Great value for L & D budget !" VAST amount of content, with most available in short, "bite-sized" videos... allowing staff to access and take when it fits best with their schedules and without requiring an entire afternoon. While content is strong around alot of soft skills, they are in need of a great deal more skill-specific or role/industry-specific content. As a couple of examples, there is a real need for software training such as Excel, Word, Powerpoint, Python, SQL, R, and other big-data tools we use today (as do many other companies out there)... and much more needed for leadership competencies for those who aspire to move into a management role at some point. Make sure one requests not just a demo, but a trial to allow the organization to explore the library of courses so there is a solid understanding of what is available (and what is not!). JIT learning & development for all staff across the country at a fraction of the cost we'd incur if we held a class here at the Corporate offices and flew employees in. We've also received positive feedback from staff about the ability to access a course and complete it using these short videos. "Great partner with an extensive content library!" BizLibrary offers a wide-arrange of content. Each content bucket has different versions of the courses, that I have dubbed tracks. There are content vendors that provide humorous courses, the main-stream online and then the classroom style online learning. It allows us to pick and choose which piece of content will be most relatable to our team. My dislike is really not a dislike. There is so much content to choose from that sometimes it is difficult to narrow down which courses are best for our employees to take. That in my eyes is a great problem to have! We are tackling our safety compliance first and foremost. We are also beginning to establish career paths and using the BizLibrary content to help bolster our employees soft skills. "Excellent Talent Development Partner "
BizLibrary goes above and beyond in setting up their clients for success. The partnership forged through their Client Success consultants is extremely valuable. Including the regular check-ins, sharing of best practices and collaborating on how to align Exeter's talent development needs with BizLibrary solutions has been a key part of our partnership. BizLibrary also does a great job connecting clients with other clients to share best practices, tips and ideas through events such as their annual ALIGN conference. As a client utilizing our own internal LMS system (Workday Learning) we are limited. BizLibrary has a robust LMS along with an array of offerings that we are unable to take advantage of at this time simply due to technical challenges on our end; that have nothing to do with our BizLibrary partnership. The good news is that solutions for clients like us getting better all the time. It would be helpful to have clients who use their own LMS come together at the ALIGN conference to network and share best practices. As part of Exeter's performance and leadership development strategy we have implemented a companywide competency model and onboarding curriculum supported by a blended learning approach. Several of the BizLibrary video courses and digital lessons that we've uploaded to our internal LMS have been integrated into our booster learning and ongoing development strategy. Exeter has also provided our leaders with the ability to browse the vast number of resources available through BizLibrary and recommend to our Talent Development team which courses they would like to include in our online learning center. "Support everyday in every way, BizLibrary makes me look good." I wish that we had some hospitality/entertainment specific training. I know that this is being addressed. Never miss your monthly meetings with your client success rep and know and use all the tools provided in order to get the best out of the product. Our Leaders are now being provided with the development they need to do their jobs. The reinforcement from learning boosters help me to keep our corporate training top of mind, this platform streamlines things for me and saves me time. "Learning and Development Beyond a One-Person Department"
What I like best about BizLibrary is the extremely supportive team that not only helps you stand up your program but also provides ongoing support & guidance to help your program mature. As a one-person learning department, it's almost as if I have a staff. I would love to see more learning content created from current and/or popular business books. Our organization did NOT have a learning management system (LMS). Once we decided on an LMS we then had to get content into the LMS. That was the biggest immediate hurdle BizLibrary helped us overcome. Their massive learning library helps us populate relevant courses into our LMS. The immediate benefit is that we were able to get our LMS up and running fairly quickly. Using Biz makes it possible for us to deliver the right content to the right persons at the time they need the information. It expands our ability to develop people at their moment of need. Who doesn’t want that? There isn’t much to dislike. The only really nitpick thing is getting completion data in a different format would be the one item to work at..
We have solved getting varied learning needs in different jobs and locations accessible and consistently addressed. It has been the platform for delivering a comprehensive onboarding pathway! "Training to Help My Business Succeed "
BizLibrary is more than an LMS platform or content provider. They are training professionals dedicated to helping my business succeed. We have in our mission to "empower employees." Bizlibrary helps us achieve that by offering educational resources on virtually every topic and helping us introduce training opportunities that our business requires. These training professionals go out of their way to find the content I need and then follow up with a creative mindset to help me implement the curriculum in the best way possible. We are fortunate to have them on our side. Since my time with Bizlibrary I have experienced a variety of turnover. While it's great to see their employees promoted within, I build relationships and instill trust in my partners and hate to see them go. Bizlibrary helped us take expensive instructor led sessions to an online platform, quickly saving us time and investment. They have also given us the opportunity to share our training messages and opportunities with every employee- not just those available to travel for sessions. They have given our training program a voice and have helped us remain compliant and up-to-date with the latest state and federally regulated training. The benefits to our business are immense. "BizLibrary is a great company to work with! " They have excellent service! Technical support is always available when I call and you are talking to someone local not overseas! I also have monthly calls with my Customer Success Managers to ensure we are getting the results out of the LMS/Content we are hoping for as well as she shares ideas and best practices that can be implemented. There are some limitations within the LMS that I would like to have available. However, BizLibrary has been growing and expanding their options so I'm sure that over the next couple of years they will offer better solutions and more. BizLibrary does a great job of listening to customers and making changes and improvements based on this feedback. When we were choosing an LMS we liked that they were a small enough but big enough company. This has continued to be a beneficial relationship for us. They have made tons of changes over the last couple of years and their roadmap looks like they are going to make even more exciting changes! Safety training is tough to get everyone in a classroom and accounted for so we have been able to provide them with eLearning through BizLibrary. This is a huge benefit because we don't have to disrupt production and everyone gets a consistent message. We also have been able to create a lot of individualized learning plans to help employees grow professionally and then have skills to grow into larger capacities in the company. "The way working professionals want to learn"
Short videos that are relevant and fast - they meet the needs of our staff and frequent exceed expectations. When there is a series it does not appear in an order and is frequently hard to follow. Would like to see integrations with Success Factors Learning. 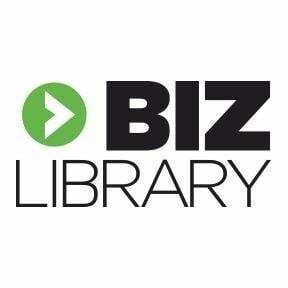 BizLibrary is an excellent Business Partner that provides a wide selection of courses, and top-notch customer service. Their Client Success Program is one of the best features and truly helps companies succeed. The need to provide on-demand learning opportunities for our Front Line Leaders and Managers. The BizLibrary Collection provides excellent short video courses that can be utilized at any point to further development. "It works, but there are better training tools"
The sheer volume of available resources. It isn't very user friendly. I wish there was a better way to save classes and videos, as well as notate which ones you've completed. The biggest benefit is the wide range of available courses and videos. If there is something you'd like to get more information on, it will likely be there. I appreciated how thorough the explanations were regarding each subject. Some portions of the site can be clunky to maneuver in. I had to search around in multiple tabs to find what I needed and I consider myself fairly computer savvy. Some of my co-workers are not computer friendly and struggled with the navigation. Safeguarding our customer's private information, teaching new hires how important it is to follow company policy regarding how we treat the files we have access to and making sure everyone follows proper procedure for disposal of said files. "A Wealth of Knowledge and User Friendly Too"
I value the variety of training courses to serve all types of employees both personally and professionally. I wish courses were retired so frequently. We are now able to get training to all levels of employees in every area that they can complete and absorb at their pace. Biz Library has a great staff, who works side-by-side with you to ensure the success of your program. I do not have anything that I dislike. The staff is great. Career development and basic skills courses. I have seen an increase in self confidence with employees who are active in our LMS. "Do we have training on...? Yes, we probably do." It's difficult to say whether the robust video library or the personal support to help you navigate and implement your program is better. Truly, it's the combination of both. There are some "brand name" applications we use (such as Adobe products) for which there aren't training videos yet. we wanted to expand our course offerings beyond technical skills. BizLibrary was able to complement our courseware with an expansive collection of "soft skill" videos. Since our initial roll out, we've also turned to BizLibrary for compliance training, management and supervisor training, cybersecurity training and more. a lot of the features do not work consistently. Getting something fixed seems to take an unusually long period of time with no updates or communication. It has been a good system to upload our own training videos onto. The fact we can get the help and storage solutions from the same company is handy. Training needs between our main Miami office and Spain. * We monitor all BizLibrary reviews to prevent fraudulent reviews and keep review quality high. We do not post reviews by company employees or direct competitors. Validated reviews require the user to submit a screenshot of the product containing their user ID, in order to verify a user is an actual user of the product. Hi there! Are you looking to implement a solution like BizLibrary?